The Corps of Military Police (“CMP”) Old Comrades’ Association (“OCA”), the progenitor of the current Association, was formed in January 1913. Re-formed after the First World War in 1927 and continuing up to the outbreak of War in 1939, when its assets were frozen and put into abeyance. Members met annually on the Football Association’s Cup Final Day at Wembley, and a dinner was held in London, followed by a parade and a march to the Cenotaph, where a wreath was laid in memory of fallen comrades. In March 1941, the CMP Old Comrades’ (War) Association (“OCA (W)”) was formed to fill the vacuum created by the closure of the OCA. As now, its objectives were to help members in need and to encourage comradeship amongst the serving. On the 15th June 1946, the Royal Military Police Association (“RMPA”) was formed, assuming the responsibilities of the OCA (W) for over 50,000 de-mobbed CMP members, as well as those veterans who had served in CMP and its forebears before 1939. As in 1913, the Association meets collectively once a year although individual branches meet more frequently and its work remains: to help the needy; raising money for the Royal Military Police Central Benevolent Fund (“CBF”); and engendering ‘esprit de corps’, while maintaining the ‘exclusive friendliness’ that remains the hallmark of the Royal Military Police (“RMP”) today. The RMPA hereafter known as “the Association” achieved charitable status in 1971. Our Sovereign Lady, Her Majesty, The Queen, is the Association’s Patron. 1.1.2 Fostering esprit de corps, comradeship and the welfare of the RMP and helping in the preservation of its traditions. 1.2.1 To take all necessary action for publicising and disseminating information concerning the histories, deeds and traditions of the Royal Military Police and for the encouragement of recruiting. 1.2.2 To execute and administer exclusively charitable trusts. 1.2.3 To receive, take and accept any gifts of property whether subject to special trusts or not. 1.2.4 To receive and accept contributions by way of subscriptions, donations and otherwise raise funds for the said Objectives provided that the Association shall not undertake any permanent trading activities in raising funds for such charitable Objects. 1.2.5 Subject to such consents as may from time to time be required by law to purchase, take lease or exchange any property required for the purposes of the Association and lease, exchange or otherwise dispose of the same. 1.2.6 Subject to such consents as may from time to time be required by law to borrow to raise money for the purposes of the Association on such terms and such security as may be thought fit. 1.2.7 To invest funds of the Association in such investments as may from time to time be authorised by law. 1.2.8 To accumulate funds of the Association for such period as may from time to time be authorised in law. 1.2.9 To do all such other things as shall further the said Objectives. 2.1 To promote or carry out research. 2.3 To publish or distribute information. 2.4 To co-operate with other bodies. 2.5 To support, administer or set up other charities. 2.6 To deposit or invest funds in any manner (but to invest only after obtaining advice from a financial expert and having regard to the suitability of investments and the need for diversification). 2.7 To delegate the management of investments to a financial expert, but only in terms prescribed by the Charity Commission in their document DT62179.97 signed and sealed on 21st January 1997 and attached hereto. 2.8 To insure property of the Association held in the United Kingdom against any foreseeable risk and take out other insurance policies to protect the Association when required. (Also see Para10). 2.9 To insure the trustees against the costs of a successful defence to a criminal prosecution brought against them as charity trustees or against personal liability incurred in respect of any act or omission which is alleged to be a breach of trust or breach of duty unless the trustee concerned knew that, or was reckless whether, the act or omission was a breach of trust or breach of duty. 2.10 Subject to clause 3, to employ paid or unpaid agents or advisers. 2.11 To enter into contracts to provide services to or on behalf of other bodies. The following are eligible for membership of the Association on Application in a form required by the trustees and approved by them. 3.1 All who are serving or have served in the Adjutant General’s Corps (Royal Military Police). 3.2 All who have served in the Corps of Royal Military Police or its antecedent Corps. 3.3 All who have held appointments as Provost Officers or have been seconded as Officers to the Corps of Royal Military Police. 3.4 All who have served as Officers or Other Ranks in the Auxiliary Territorial Service (Provost) or Women’s Royal Army Corps (Provost). 3.5 Membership which is for life only is permitted on payment of the appropriate subscription. 3.6 All surviving members of the OCA (W) are to be considered without further payment or formality. 3.7.2 Honorary Branch Member by unanimous vote upon a published branch agenda resolution. 3.8 Honorary Membership may also be extended by the unanimous vote upon a published agenda resolution at the AGM, to any Association established in the British Commonwealth or in a foreign state, which has comparable objects to those of the Association, composed of serving and/or ex-serving members of organisations analogous to the United Kingdom’s Military Police. However, Honorary Membership confers no right to attend any meeting or to take part in the control of the Association. 3.9 Honorary Membership may also be extended by the unanimous vote upon a published agenda resolution at the AGM, to any serving or ex-member of an allied Military Police Force which has comparable standards to the Association’s. However, Honorary Membership confers no right to attend any meeting or to take part in the control of the Association. 3.10 Non-RMP Membership of a branch is strictly limited to no more than 40% of total branch Membership, however widows and widowers granted membership do not count within the 40%. 3.11 The Association may also establish affiliations with kindred Associations on the unanimous vote of the AGM. Currently, the Association has had a ‘Bond of Friendship’ with the United States Military Police Regimental Association, since the year 2000 and has had an alliance with the 248 (German Security Unit) Kameradschaft Eingetragener Verein1 (“248 GSU e.V”) since 2013. 3.12.1 gives written notice of resignation to the Association. 3.12.3 is six months in arrears in paying the requisite subscription (if any) (but in such case the member may be reinstated on payment of the amount due). 3.12.4 is removed from membership by resolution of the trustees in accordance with the provisions of paragraph 13 below. 3.12.5 Membership of the Association is not transferable. 4.1.1. members who are not trustees may be employed by or enter into contracts with the Association and receive reasonable payment for goods or services supplied. 4.1.2. members (including trustees) may be paid interest at a reasonable rate on money lent to the Association. 4.1.3. members (including trustees) may be paid a reasonable rent or hiring fee for property let or hired to the Association. 4.1.4. individual members who are not trustees but who are beneficiaries may receive charitable benefits in that capacity. 4.2.1 as mentioned in clause 2.10, 4.1.2 or 4.1.3. 4.2.2 for reimbursement of reasonable out of pocket expenses (including hotel and travelling costs actually incurred in running the Association). 4.2.3 for an indemnity in respect of any liabilities properly incurred in running the Association including the costs of a successful defence to criminal proceedings. 4.2.4 for payment to any company in which a trustee has no more than a one (1) percent shareholding. 4.2.5 in exceptional cases, other payments or benefits (but only with the written approval of the Commission in advance). 4.3.1 the goods and or services are actually required by the Association. 4.3.2 the nature and level of the remuneration is no more than is reasonable in relation to the value of the goods or services and is set in accordance with the procedure in clause 4.4. 4.3.3 no more than half of the trustees are subject to such a contract in any financial year. 4.4.1 declare an interest at or before the discussion begins on the matter. 4.4.2 withdraw from the meeting for that item unless expressly invited to remain in order to provide information. 4.4.3 not be counted in the quorum for that part of the meeting. 4.4.4 withdraw during the vote and have no vote on the matter. 5.1.4 Additional Vice-Presidents. Additional Vice-Presidents may be elected by majority vote upon a published agenda resolution at an AGM, for members who have performed outstanding service to the Association. 5.1.5 Secretary to the Association. (The Secretary) shall be elected annually by the trustees. 5.1.6 Treasurer. The Treasurer shall be elected annually by the trustees. 5.1.7 Assistant Treasurer. The Assistant Treasurer shall be elected annually by the trustees. 5.1.8 National Events Co-ordinator (NEC). The NEC can be appointed by the trustees to assist the Vice-Chair, and such honoraria as agreed by the trustees annually may be awarded to the NEC. 5.2.1 The National Chair of Trustees. The Chair, after being nominated and in writing by the Membership and has agreed to stand, is to be elected at an AGM for a period not exceeding five years by simple majority vote. Where there are two or more nominations for the position the election is to take place by secret ballot until a consensus is achieved. 5.2.2 The National Vice-Chair of Trustees. The Vice Chair, after being nominated and seconded in writing by the Membership and has agreed to stand, is to be elected at an AGM for a period not exceeding five years by simple majority vote. Where there are two or more nominations for the position the election is to take place by secret ballot until a consensus is achieved. Where possible the Chair and Vice Chair should not be elected in the same year. 5.2.3 Admin Secretary. An Administration Secretary may be appointed by the trustees annually, with any Honoraria agreed by the trustees under Charity Law. 5.3.1 Nominated Three (3) trustees. One (1) member nominated from each of the branches in the devolved parts of the United Kingdom i.e., Scotland, Wales and Northern Ireland and appointed by the trustees. Where these parts have more than one branch, the Regional trustee is to be nominated for appointment as a trustees by those branches in rotation. For these purposes, England is not a Region. 5.3.2 Serving Nominee One (1) trustee. A RMP Commanding Officer to act as the representative of the Provost Marshall (Army) and Commander 1 Military Police Brigade and appointed by him from time to time. 5.3.3 Elected Four (4) Trustees Members, after being nominated and seconded in writing by the Membership and having agreed to stand, are to be elected at an AGM by simple majority vote. Where there are two or more nominations for the vacant position the election is to take place by secret ballot until a consensus is achieved. 5.3.4 Each trustee shall, on appointment, receive a letter of appointment and for personal use the Charity Commission publication ‘CC3: Responsibilities of Charity trustees’, or its equivalent together with the Associations extant rules, copies of the latest report and accounts and minutes of the last meeting of the trustees. 5.4 Quorum A quorum shall consist of six trustees. 5.5.6 to recommend to the Membership of the Association the removal of trusteeship from any individual under section 7.2.6 of these rules. 6.1.1 be chaired by the Association President or in their absence by the VicePresident. If both are absent, the Association Chair or Deputy Chair shall preside. 6.1.2 be held during either the Annual Reunion Weekend or the National Remembrance Weekend or an alternative date and place as determined by the trustees provided always the notice required under 6.3 below is provided. 6.1.3 have quorum which shall be 30 Members of the Association. 6.1.4 receive the accounts of the Association for the previous financial year. 6.1.5 receive the trustees report on the Association’s activities since the previous AGM. 6.1.6 accept the retirement of those trustees who wish to retire or are retiring under clause 7.1.4 below. 6.1.7 elect persons to be trustees to fill vacancies. 6.1.8 to confirm the appointment auditors or independent examiners or external scrutineers for the Association if necessary in law or ordered by the trustees. 6.1.9 confer on any individual (with his or her consent) the honorary title of Patron, President or Vice President of the Association. 6.1.10 discuss and determine any issue of policy or deal with any other business put before the meeting as part of the published AGM agenda by simple majority of those Association Members present and voting but excepting any motion proposed under Rule 12. 6.2 Any General meeting which is not an AGM is an Extraordinary General Meeting (EGM). 6.3 An EGM may be called at any time by the trustees together, and must be called within 28 days on a written request from at least three Members. Notice of the meeting, will be circulated to all trustees, together with the motion to be discussed, and the 28-days notice will be given to members through the Association’s channels via branch secretaries. A simple two-thirds majority of voting members present at the meeting is required to adopt any motion tabled. 7.1 The Meetings of trustees will comprise the ten (10) trustees of the Association. The Treasurer, if not a trustee, the Provost Sergeant Major (ProSM) and NEC if appointed shall also be in attendance, but are not included in any quorum count nor do they enjoy a vote upon any issue. The admin secretary should also be present to record the proceedings. 7.1.1 The trustees as charity trustees have control of the Association its property and funds. 7.1.2 Every trustee must sign a declaration of willingness to act as a charity trustee of the Association before he or she is eligible to vote at any meeting of trustees. 7.1.3 Nominated trustees shall hold their appointment for no more than 3 years. Elected trustees will be elected for an initial period of two years after which they can offer themselves for re-election under the one third rule below. 7.1.4 One third (or the number nearest one third) of the elected trustees shall retire at each AGM offering themselves for re-election, those longest in office retiring first and the choice between any of equal service being made by drawing lots. 7.1.5 No trustee shall hold office for more than eight consecutive years excepting 5.2.1 and 5.2.2 above, where the appointment is limited to five years by these rules. 7.2.1 is disqualified under the Charities Act from acting as a charity trustee. 7.2.2 is incapable whether mentally or physically, of managing his or her own affairs. 7.2.3 is absent without apology from two consecutive meetings of trustees. 7.2.4 ceases to be a member (but such a person may be reinstated by resolution passed by all other trustees on resuming membership of the Association before the next AGM). 7.2.5 resigns by written notice to the trustees (but only if at least five trustees will remain in office). 7.2.6 is removed by resolution of no confidence passed by at least two thirds of the Members present and voting at a general meeting after the meeting has invited the view of the trustee concerned and considered the matter in the light of such views. 7.3. The trustees may at any time co-opt any person duly qualified to be appointed as a trustee to fill a vacancy in their number or as an additional trustee, but a co-opted trustee holds office only until the next AGM. 7.4. A technical defect in the appointment of a trustee of which the trustees are unaware at the time does not invalidate the decisions taken at a meeting. 7.5.1 The trustees must hold at least two meetings each year. 7.5.2 A quorum at a meeting of trustees is six trustees. 7.5.3 A meeting of the trustees may be held either in person or by suitable electronic means agreed by the trustees in which all participants may communicate with all the other participants. 7.5.4 The Chair or (if the Chair is unable or unwilling to do so) some other trustee chosen by the trustees present presides at each meeting. 7.5.5 Every issue may be determined by a simple majority of votes cast at a meeting but a written resolution signed by all the trustees is as valid as a resolution passed at a meeting (and for this purpose the resolution may be contained in more than one document and will be treated as passed on the date of the last signature). 7.5.6 Except for the Chair of the meeting, who has a second or casting vote, every trustee has one vote on each issue, the chair should be mindful of maintaining the ‘Status Quo’ on contentious issues when using the second or casting vote. 7.6 A procedural defect of which the trustees are unaware at the time does not invalidate decisions taken at a meeting. 7.7 The trustees are responsible for ensuring that the Association is run in accordance with extant Charity Law. It is also responsible, through the Secretary, for the day-today management of the Association. 8.1 All records shall be kept at the registered address of the charity. 8.2 The Treasurer of the Association shall be its fund controller and will be notified to the Charity Commissioners as such. 8.3 The Treasurer shall open bank accounts and shall be mandated to the bank by the Board of trustees as the cheque signatory along with two other persons agreed annually by the trustees. 8.4 Payment of all expenses and receipts of all income necessary for the proper administration of the Association is delegated to the Treasurer. 8.5 The Treasurer is to prepare an Annual Financial Report as at 31st December which may be audited by a Chartered Accountant or independently examined by a qualified person in accordance with paragraph 3.2 of “Independent Examination of Charities Accounts” Examiners Guide (CC32), or external scrutiny, if required by law or if ordered by the trustees. 8.6 Following any audit, independent examination or external scrutiny of the Annual Financial Report if necessary, and its acceptance at the AGM; the Treasurer should file the document with the Charity Commission if and as required by them. 9.1 Branches. Branches of the Association may be formed at the discretion of the trustees, who shall satisfy themselves that suitable members of the Association are available to form a Committee, consisting of a Chair, Secretary and Treasurer and not less than three other Members, all of whom must be Life Members of the Association. 9.2 Naming of Branches. The trustees shall approve all Branch Titles. All Devolved nations with more than one branch are to have Branch Titles (and Standards), which state ‘RMPA’ followed by ‘The Devolved Nation’, (5.3.1. refers), followed in brackets by the ‘unique title’ chosen by the branch e.g. RMPA NI (Lisburn). Any conflict is to be resolved by the trustees. 9.3 Branch Appointments. Once a branch has been established, the appointments of Secretary and Treasurer may be taken by non-Association members as approved by the individual branch. 9.4 Overseas Branches. The Vice-Chair is to represent all Association branches based overseas at Committee Meetings where overseas branches are otherwise unrepresented. Agenda points concerning overseas branches are to be passed to the Vice-Chair accordingly. 9.5 Sub-Branches. Branches shall be at liberty to form sub-branches provided the proposal for the formation of a sub-branch is first placed before the trustees for their approval. 9.6.2 A report of their activities for the past year for the information of the trustees and Charity Commission. 9.7 Matters Concerning Royalty. “The Secretary” is authorised to have direct access to the Private Secretary to Her Majesty the Queen on behalf of the Association and messages of loyalty, congratulation and condolence etc., may only be sent by The Secretary. Under no circumstances are individual Branches to approach Buckingham Palace on any matter whatsoever. 9.8.1 Parading. Branch Standards may only be paraded with the prior authority of the relevant branch Committee and whenever possible should be carried by members of the RMPA wearing the scarlet beret. However, if this is not practicable, it may be carried by someone else, but only with the relevant branch Committee’s explicit permission. The National Standard, however, should only ever be carried by RMPA members. 9.8.2 Manufacture. The current and approved manufacturer for all branch Standards is: Newton and Newton Flags, The Bishop Tozer’s Chapel, Middlemarsh Road, Burgh-le-Marsh, Lincolnshire, PE24 5AD. Tel: 01754 768401,www.newtonnewtonflags.com. 9.9 Branch Rules. Branches may frame their own Rules locally to reflect the Rules of the Association. 9.10 Branch Performance Rules. An investigation panel may be formed at the direction of the trustees to investigate a refusal or failure by any RMPA branch to comply with rules governing the management and administration of RMPA, and or any act or omission by a branch which is considered to be detrimental to the interests of the RMPA. 9.10.1 An investigation panel will comprise at least three persons who will report their findings to the trustees for their consideration and adjudication. 9.10.2 No member of the branch under investigation may sit on the investigation panel or vote on any adjudication by the trustees. Full particulars of the allegations made against the branch must be copied to the individual members of the branch Committee. 9.10.3 Following investigation, where acts or omissions are reasonably believed to have been substantiated the trustees may request the branch to remedy the situation within a reasonable period and provide an undertaking not to commit further breaches. 9.10.4 The trustees may suspend affiliation and provide notice of intention to dissolve a branch where no commitment to remedy a substantial breach is made by the branch or where the situation has not been remedied within a reasonable period. 9.11.4 Send branch memorabilia to the RMP Museum or with trustee approval, lodge it in a local Museum or appropriate Service Mess. Every trustee, other committee members and every officer and servant of the Association, (see 10.3. below) shall be entitled to be indemnified out of the assets of the Association against all losses and liabilities incurred by him or her or in relation to the execution of their Office provided that nothing in this clause shall entitle them to any indemnity against liability arising through negligence or fraud or similar actions on their part. 10.1. The National Standard and up to 38 Branch Standards against loss. 10.2 Public liability for the three key National Events held each year and for routine branch business and social meetings. 10.3 Cover for overseas branches is not currently available through UK brokers and are therefore excluded from this cover. 11.1 National Reunion. There shall be a National Reunion of the Association hosted once in a 5-year period by the Depot branch based at the designated home of the RMP (currently Southwick Park in Hampshire) and in the intervening years, hosted by a branch of the Association elsewhere annually. The trustees are to consider bids and agree the venue. The trustees should wherever possible agree in advance, the venues for a 5-year cycle in order to enable the ‘Depot Branch’ to place it in any programme of events and to forewarn the relevant authorities. 11.2 Branch Reunions. Branches may arrange their own Annual Reunion Dinner provided no call is made on the Association’s funds for assistance. Alteration of these Rules requires the assent of two-thirds of the members present at either an AGM or an EGM. A resolution for the alteration of the rules must be received by the Secretary at least 28-days before the meeting at which the resolution is to be tabled. At least 21-days notice of such a meeting must be given by the Secretary to the membership and must include notice of the alteration proposed. Provided that no alteration made to Rules 1 and 15, and this Rule (12) shall take effect until the approval in writing of the Charity Commission shall have been obtained; and no other alteration shall be made, which would have the effect of causing the Association to cease to be a ‘Charity in Law’. Suggested amendments and/or corrections to these rules should be sent to the Secretary in the first instance. Where it is believed that a member of the Association acts in a manner that is likely to bring discredit upon the Association, the matter is to be referred to the Secretary and thence to the trustees with a view to recommending forfeiture of membership to the AGM or an EGM called for that specific purpose under 6.3 above. Details of alleged misconduct are to be forwarded to the Secretary so that the matter may be placed on the Agenda of the next trustees’ meeting and a copy of the allegation is to be passed to the person concerned by the Secretary to enable them to submit information in either their defence or in mitigation. Persons reported to the trustees have the right to speak in their own defence. The trustees will then make a recommendation in writing to the AGM where the membership may, by a two-thirds majority vote, dismiss the allegation, censure the Member or, forfeit their membership of the Association. Appeals against forfeiture may be represented to the AGM by an individual who may be asked to speak in their own defence or a person selected by them to speak on their behalf. Any decision taken by the AGM by a two-thirds majority vote is final and there is no right to a further appeal. The AGM is empowered to refuse membership to any person even though otherwise qualified, who is considered by a two-thirds majority vote to be unsuitable for membership. Appeals against refusal of membership may be represented to the AGM who may call the individual to speak on his/her own behalf. Any decision taken by the AGM by a two-thirds majority vote is final and there is no right of appeal. 16.1 General. As former and serving members of the RMP, the motto of which is ‘By Example Shall We Lead’, it is clearly beholden upon all Association members to set the best of examples when on parade and when conducting the Association’s business. 16.2 Dress. Wherever possible members of the Association should wear Regimental blazer or dark suit, Regimental tie, scarlet beret with appropriate cap badge (cloth RMP cap badges may be worn by former Officers and WO1s). Honorary Members of the Association should wear the wire-woven Association Badge on the beret. Officers ‘In Receipt of Retired Pay’ may wear a bowler hat as an alternative to the beret if they wish. 16.3 Medals. Association members are entitled to wear full-sized court-mounted medals when on parade. Medals awarded to a deceased close relative may be worn on the right breast. Miniature medals may be worn for evening social events when ‘Mess Kit’, evening dress or a dinner suit are the suggested forms of dress. Commemorative medals i.e. those that have been purchased commercially, but have neither been awarded nor approved by the Sovereign for official wear, should never be worn either on any parade or when conducting Association business. Data Protection Act 1998 (“DPA”) places a number of obligations on organisations, which process personal data, in particular, it regulates how an individual’s personal information is processed and protects people from misuse of their personal details. The definition of personal data is wide; it covers any information through which a person is identifiable. It will include name, address, date of birth etc. The definition of ‘processing’ is also quite wide and it covers almost anything a person might do with personal data including organising, amending, retrieving, consulting, using, disclosing, deleting and storing it. 17.1.1 Notification. Each organisation processing personal data must, subject to certain exemptions, register with the Information Commissioner each year. This is called “notification”, for the Association, this will be undertaken by the Secretary. 17.1.2 Data Protection Principles. The Association, which processes personal data, albeit on a limited scale, must comply with the eight data protection principles that Personal information (i) must be fairly and lawfully processed; (ii) must be processed for limited purposes; (iii) must be adequate, relevant and not excessive; (iv) must be accurate and up-to-date; (v) must not be kept longer than necessary; (vi) must be processed in accordance with your rights; (vii) must be kept secure; and (viii) must not be transferred abroad without adequate protection. 17.1.3 Data Subject Rights. Individuals have rights, principally the right of access to the data held about them. 17.2 Branches are to ensure that any forms that are used by their secretaries etc., to collect data include a standard form of wording to ensure that individuals understand what the purpose of the capture of data is and what will happen to that data. Importantly, the form must ensure that all individuals give their explicit consent when they are consenting to the use of their data for commercial purposes or supply information regarding medical conditions. Good evidence of explicit consent is a box ticked on a form. 18.3 A technical defect in giving of notice of which the Trustees are unaware at the time does not invalidate decisions taken at the meeting. As adopted by the RMPA AGM on Saturday 13th May 2017. 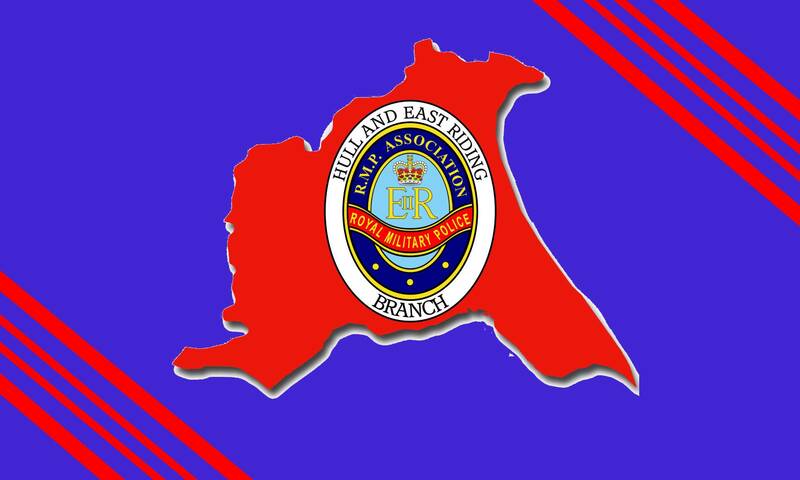 Join us for the monthly Branch Meeting, held at the Hop Pole Public House in Willerby.